Maybe this is the reason why it has that classic Dio vibe in it. This was a great project with a fantastic purpose and having the stars of the 80's heavy metal and rock bands in one place was amazing. Bruce was not part of the vocalists - that was strange, but it was a great time to live in 80's. I don't know about you guys, but every Dio album cover is top-notch ! I quite like when a hard work is put on a album cover. The Last In Line is amazing artwork ! Metal Warrior 330 and Confeos like this. 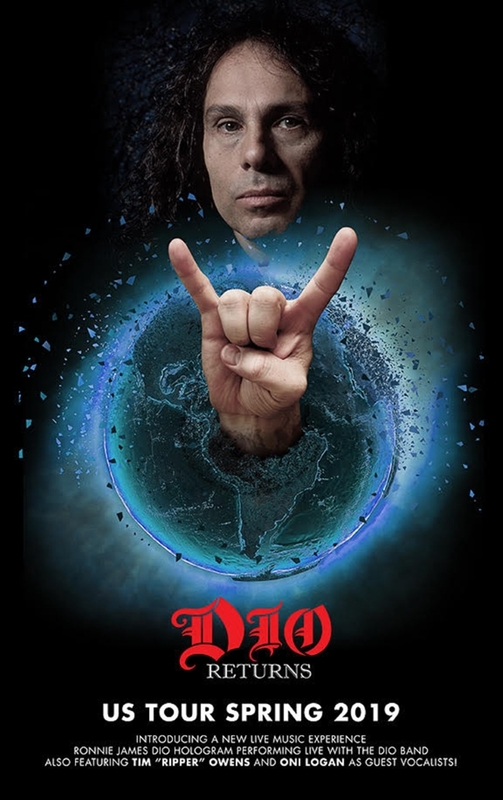 without ''We Rock'' and ''Don't Talk To Strangers'' The best Dio songs that are also epochal for the music in general, not only heavy metal are: Holy Diver, Rainbow In The Dark, The Last In Line and the two already mentioned. A ''best of'' of Dio or for heavy metal is not complete without these songs ! Metal Warrior 330 likes this. I'd add Don't Talk to Strangers and perhaps one or two tunes from Dehumanzier, but otherwise I pretty much agree. Metal Warrior 330 and MrKnickerbocker like this. I’ll have to pick that book up, thanks! Just added to my Amazon digital library today's debut Until Death Do We Meet Again by Dream Child. This is the new band formed by Craig Goldy with Rudy Sarzo & Simon Wright. 12 songs that feature a singer from Argentina named Diego that sounds so much like RJD, my jaw was on the ground! I love how long about half the songs are (especially on the 2nd half of the lp). The shorter songs in the middle of the lp are ok. There has been no talk of them touring, but I would definitely go see them. Craig has said he wanted to create a lp of new music similar to Dio era Rainbow. The opening track (video is below) is a straight rocker but the better songs are more moody. Anyone else recognize the intro as the theme song to The Exorcist? In case any of you American types have nothing better to do in Spring. I have never actively considered boycotting something until this. I have never felt the urge to participate in a protest. Night Prowler and MrKnickerbocker like this. Get's him out of the house for a bit while you do the spring cleaning though, yeh?